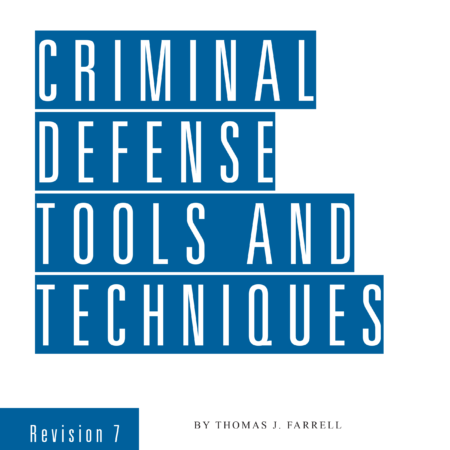 Considered by many to be the most comprehensive and respected criminal practice guide in Texas. Covering more than 250 topics, it provides in-depth practice advice on constitutional rights, documentary evidence, scientific evidence, impeachment techniques, and much more. 2. Timesaving forms and checklists. Speed your drafting with the Handbook’s motions, objections, requests, declarations, affidavits, and admonishments. Save research time with handy checklists, each fully supported with case citations. Objecting to the fruits of allegedly improper search or seizure. Alternatives to proprietary interests for demonstrating a reasonable expectation of privacy. Preserving search warrant errors for review. Preventing the state’s appeal of a successful suppression. Controlling difficult witnesses through the court reporter. Neutralizing “I don’t recall” answers. Turning the tables on witness who asks for definitions. Determining the voluntariness of impeachment evidence. Demonstrating bad faith in evidence preservation. Preserving error for denial of a requested challenge for cause. Challenging subjective beliefs or court room observations in a Batson hearing. Objecting to impeachment based upon an inconsistent statement. Establishing the proper predicate during impeachment. Contesting the use of a prior conviction for impeachment. Objecting to “Have you heard?” questions. Physical evidence labels and notes as hearsay. Advice to the bench and prosecution on admitting inflammatory evidence. 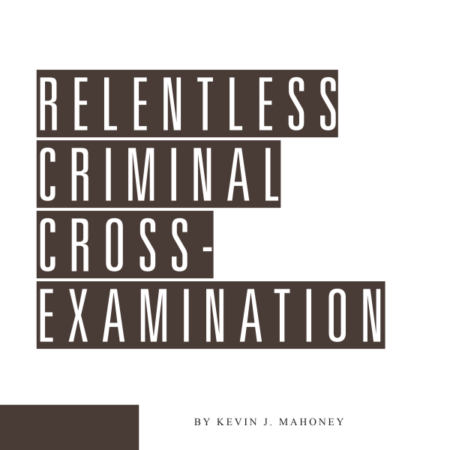 The most comprehensive and respected criminal practice guide in Texas, providing everything you need to help you prepare for, and win, criminal trials. Covers more than 250 topics. The Handbook also gives you in-depth practice advice on constitutional rights, documentary evidence, scientific evidence, impeachment techniques, punishment, and more. Mark G. Daniel practices with the Fort Worth office of Evans, Gandy, Daniel & Moore. A former Assistant District Attorney in Tarrant County, Mr. Daniel has been in private practice since 1983, devoting his practice of criminal defense at the trial court level.